Umi Plus was officially lauched today, Sept.7, 2016. This Smartphone is a metal phone which is made of 6000 Series Aluminum alloy. This device comes with a 5.5-inches display on the front. The display used here is a Sharp panel with 1920 x 1080 resolutions, and it also has 2.5D glass on top while on the front,there is a fingerprint scanner as well. 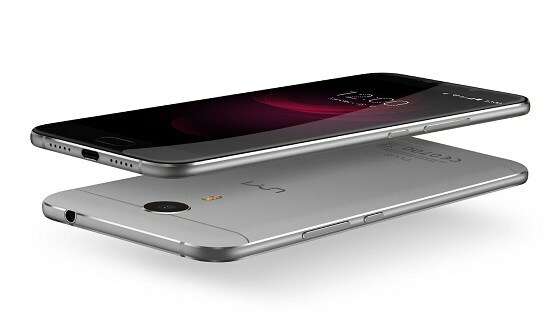 Umi plus has a powerful 4000 mAh battery and has a USB Type-C port for charging and data syncing. For your information, this device is powered by an Helio P10 Octa-core processor, and it packs 4GB of RAM and has 32GB of internal storage as well. 13-megapixel rear facing camera which is a SAMSUNG®3L8 sensor. For the front camera, it has a GalaxyCore®GC5005 sensor which is of 5-megapixel. The price is not really expensive, it is just $219. Hurry now and get yours.